We managed to get out of the house before lunch today! Mr. Ding, the driver, drove us to 798 Art Street, around 40 minutes away from where we’re staying. 798 Art Street is a street where artists are free to express their art. It’s a collection of art galleries, museums, shops and artist haven. Wouldn’t it be nice to have something like this in the Philippines? Aside from Chinese artists, there were also arts by Koreans, Japanese and other nationalities on display. I found works of Zhang Tianmu and Zhang Kai interesting. Bought a mousepad with Zhang Kai’s whimsical and fairy tale like drawing printed on it (the actual work entitled Goodluck sold for RMB20k). Also got myself a glambot for my desk (RMB68) from a Belgium art store. I’ll upload pictures when we get back. So nice! This is one of those places I’d definitely come back for. 3 hours was just not enough. 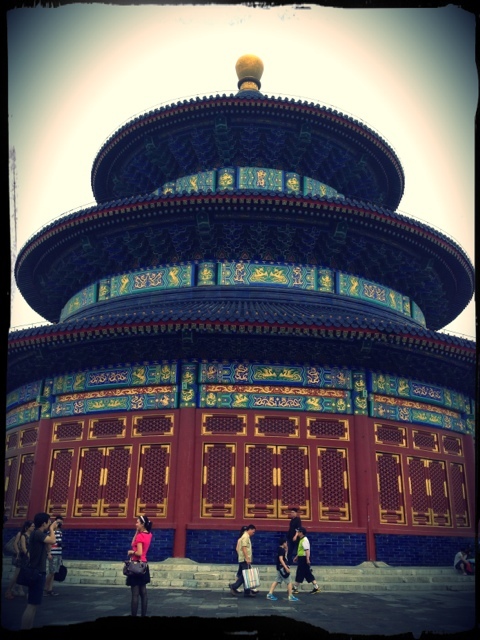 Mr. Ding picked us up at around 2pm and brought us to Temple of Heaven (a good 40mins drive from 798). 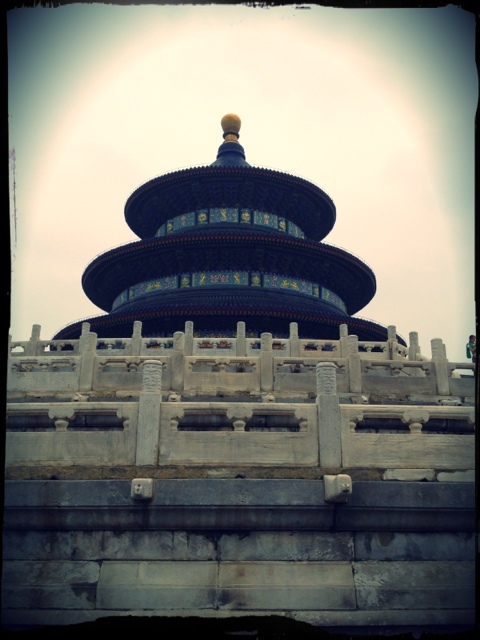 Temple of Heaven is where the previous Ming and Qing emperors would pray to the gods and offer sacrifices for an abundant harvest. This was also where they recently signed the Chinese constitution. 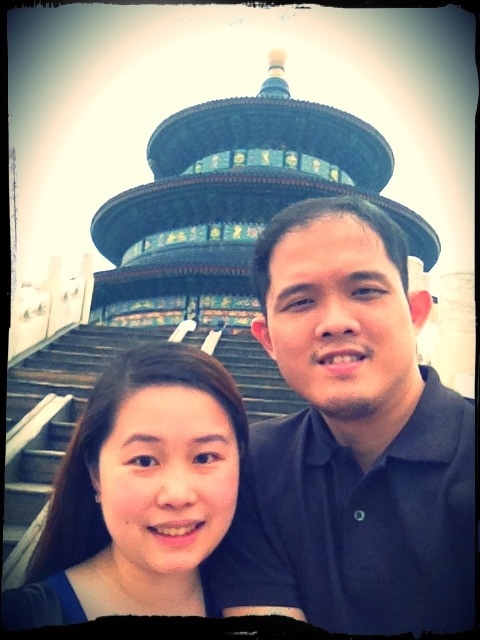 It was nice walk going into the Temple of heavens (RMB35). Old cyprus trees line the walkway. Found it interesting that in one of the bridges going into the temple, there was a throng of people playing a variety of card games and Chinese checkers. This wasn’t as interesting as the Forbidden city since you’re only looking at 1 structure and a few mini-halls surrounding it. We finished the whole tour in less than an hour.